There is no worst feeling than losing the ability to walk. Everyday , people get involved in accidents that cause them to lose the number 1 source of mobility ; human legs. If you find yourself in such situation , you can rely on the Best Electric Wheelchairs to aid movement and get your groove going. For those who don’t know , Electric Wheelchairs are designed to aid movement with less human help. They consist of wheels , comfortable seat , and a rechargeable battery that powers the wheelchair to move on its own. 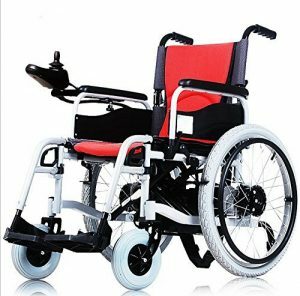 If you are in the market for the best electric wheelchair , this article provides you with details of the best options for the money. Now that you have seen the table of best electric powerchair , here is more details of each product. Top of the list is a product by Wheelchair88 , one of the best wheelchair manufacturers in the business. The Foldawheel PW-99UL is the lightest and most compact power wheelchair in the world , weighing just 45lbs. It has 4 wheels (2 at the front and back) , and a motor to help control the direction of movement. The Foldawheel PW-99UL is also known as the “Best foldable wheelchair” mainly for its ability to fold in less than 5 secs. One main advantage is that If you’re travelling long distance , you don’t have to worry because this wheelchair is very portable and easy to carry in cars and even airplanes. The seat measures 16″ x 16″ and is very comfortable for people with height ranging from 5’2 ft – 5’9 ft. Taller people may not find this chair comfortable as it is built for mid size people with weight of up to 220lbs. The seat cushion and backrest covers are easily detachable for washing. Another advantage is that the Foldawheel can hold up to 2 Soft Pack Polymer Li-ion battery , with a total travel distance of 16 miles. The wheelchair comes fully charged , which means that you don’t have to charge before using it first time. When purchased , the Standard delivery comes with a tough & thick Travel Bag, 1 certified high quality world wide usable charger, 1 battery pack that can operate around 8 miles. Consumers reported a positive feedback. Most of them are satisfied with this product and the only major drawback is that shipping took a little longer than expected. This is because the product is shipped from Malaysia to the United states. Estimated shipping time is 1 week. Firstly , KD Smartchair weights 50 lbs which is slightly heavier than the Foldawheel PW 99-UL weighing 45lbs. Secondly , KD Smartchair is easy to fold , but not as easy as the Foldawheel PW 99-UL which folds in 5 seconds. 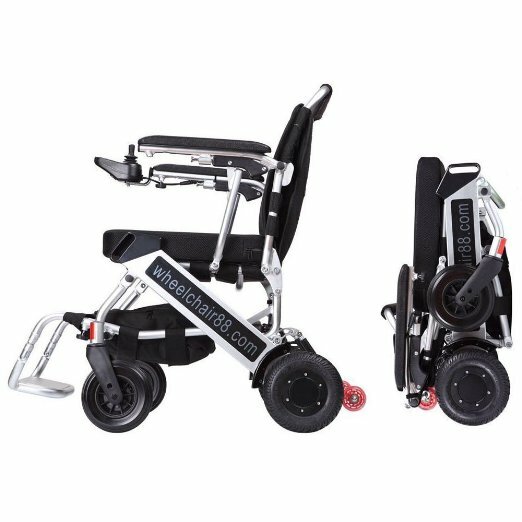 Both the KD Smartchair and Foldawheel PW 99-UL are very portable and can be easily carried in an airplane or your car truck. One major advantage of the KD Smartchair is that it is more compact than most wheelchairs in the market. It has an amazing turning radius that makes it extremely easy to maneuver through tight hallways and doorways. Another advantage is that it can carry people of up to 265 pounds , which is more than the carrying capacity of the top 3 best electric wheelchair. If you want more capacity , then consider getting the HEAVY DUTY KD SMART CHAIR (link opens in a new tab) , which is bigger and has a carrying capacity of up to 330 pounds. 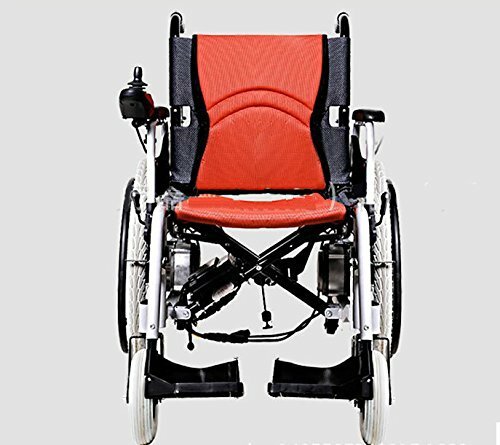 In terms of reviews and customer feedback , this product has an impressive 4.1/5 star rating on Amazon.com , and very few people had issues using this wheelchair. However , one of the users warned that the controller unscrews at the point that it plugs into the chair , which means you have to ensure that its tight at all times. 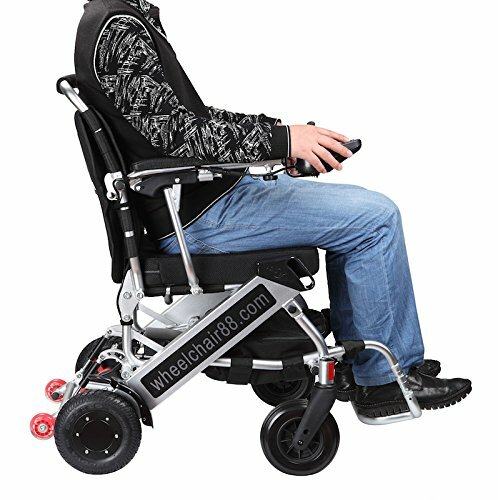 Overall , the KD Smart Chair is one of the best electric wheelchair , and a good alternative to the Foldawheel PW 99-UL. 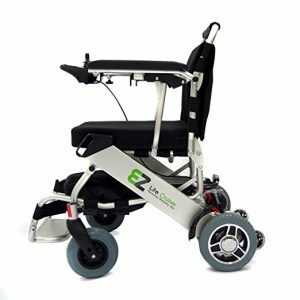 The EZ Lite Cruiser comes in at number 3 on the list of best electric wheelchair for the money. 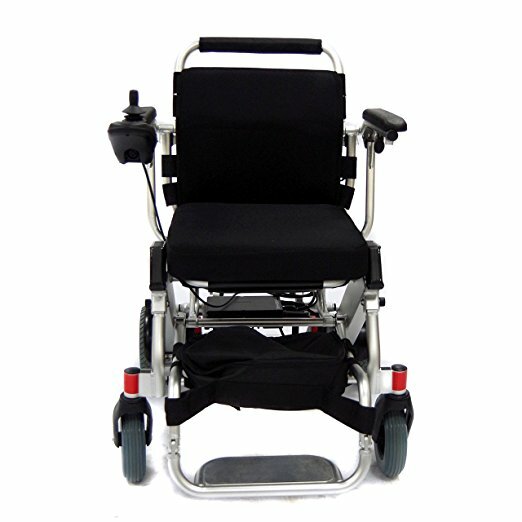 This product weighs only 50 Pounds ; not the lightest in the market but definately not as heavy as most wheelchairs. It has a carrying capacity of up to 264lbs. Ez Lite Cruiser has a small turning radius of Only 29.5 inches which helps it get around tight areas easily. Just like other best electric wheelchairs , the EZ Lite Cruiser has a compact view and can be folded for land and air travels. It has a removable seat and seat cover for easy cleaning. The arm rests can be raised for easy side access to the seat and the battery can last up to 10+ miles before needing a re-charge. Wheelchairs are very expensive , and the best electric wheelchair costs more than $2000 which everyone cannot afford. If you’re looking for a decent wheelchair that dosen’t cost alot , then this product will certainly interest you. The new compact electric wheelchair currently sells for about $1,000 and is a great alternative for those looking to save cost. This wheelchair is very suitable for elders whose age are over 50 years although younger people can still use this. It has a weight of 72.8 pounds , which is quite heavy. The weight makes it a little difficult to carry during road and air travels. This wheelchair has a carrying capacity of up to 220 pounds. The lightweight wheelchair can either be a hand pushed wheelchair or a electric wheelchair. It has two types of brake system: manual and Eletric ; however the manual mode can only be used when the wheelchair is running out of power. One of the main advantage of this wheelchair is the price. 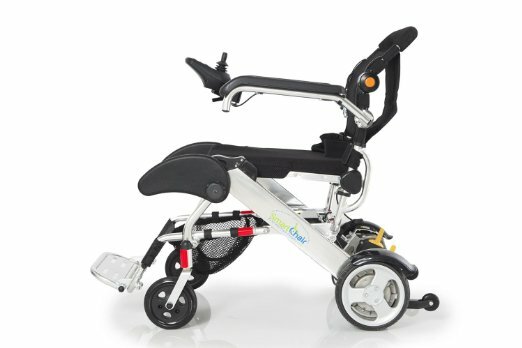 You get this product for just about $1,000 , which is 50% lesser than other best electric wheelchair. However , a huge disadvantage is that the battery takes a whooping 6 hours to fully re-charge. You got to have a lot of patience. 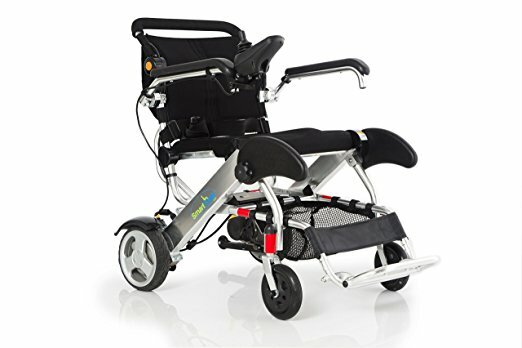 In conclusion , neglecting the fact that it is quite heavy and that the battery takes a long time to charge, this is the best electric wheelchair under $1,000. Wheelchairs are one of the most expensive products in the market. They cost thousands of dollars , which is a lot of money to spend. It is very important to get the best whenever you want to purchase a wheelchair. Here are some tips on electric wheelchair buying guide. Wheelchairs come in different sizes and so therefore you should check the size and be sure that it fits your body frame , But most wheelchairs goes well on up to 6ft tall people. Also , you should check that the wheelchair is not too heavy since you’re going to be moving it during road and air travels. The ideal weight of a wheelchair is between 45 – 50kg. Some wheelchairs are designed to carry up to a particular weight , after which , they will no longer be able to provide comfortability. Some wheelchairs have a maximum capacity of roughly 250 pounds , while some can carry more than 300 pounds weight. Be sure to check your body weight before making a purchase. Another good point to note is the distance in which the wheelchair can travel before needing a re-charge. Ideally , a distance of more than 8 miles is a good point to start with. After reading our reviews and doing your research , be sure to also check customer reviews on Amazon.com. This will give you a broader picture on how the wheelchair will perform , based on the feedback from those who have used it. In all , it is very unlikely for one product to be “100%” perfect. Have that in mind.